ARLINGTON, Texas -- The Titans showed up on the Monday Night Football stage, and turned in a performance worthy of a bow. 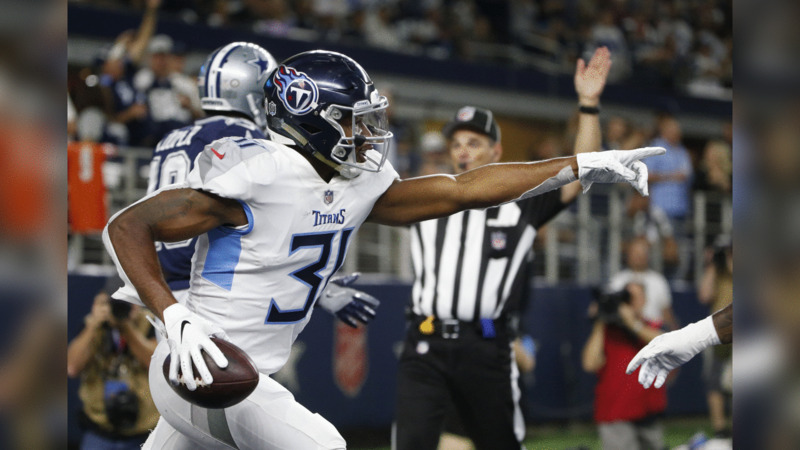 After a shaky start, the Titans took over Monday night’s game against the Dallas Cowboys. When it was over, the Titans left with a 28-14 victory, which ended a three-game losing streak and started to build some momentum heading into the second half of the season. It came before 90,466 fans at AT&T Stadium. “This game was of the utmost importance,” Titans cornerback Logan Ryan said. “It was a ‘got to have it,’ it was ‘desperation,’ it was everything. We needed to win this game. It was one of those weeks where we had to do whatever it took to win, and we are happy to get it. The Titans (4-4) face the New England Patriots on Sunday at Nissan Stadium. Titans quarterback Marcus Mariota played well on center stage, throwing two touchdown passes and running for another. Mariota’s nine-yard touchdown run with 4:38 gave the Titans a two-touchdown lead. Mariota completed 21-of-29 passes for 240 yards in the contest, with touchdown passes to running back Dion Lewis and tight end Jonnu Smith. On offense, the Titans were 11-of-14 (79 percent) on third down in the contest. Lewis had another big day, rushing for a team-high 62 yards while also catching four passes for 60 yards. In the second half, the Titans defense also turned up the pressure on Cowboys quarterback Dak Prescott, recording five sacks. The Titans also stiffened up while defending running back Ezekiel Elliott. Titans edge rusher Harold Landry had one of the team's five sacks. Wesley Woodyard, Brian Orakpo, Austin Johnson and Jayon Brown got in on the action as well. Things were bad before it got better for the Titans. The Cowboys took a 7-0 lead in the first quarter on a four-yard touchdown pass from Prescott to receiver Amari Cooper, which came just 1:53 after a Titans turnover. The Titans gave the Cowboys good field position after Mariota fumbled while being sacked, and Dallas recovered the football at the Tennessee 15. After another turnover, the Titans were on the verge of being buried early. That’s when safety Kevin Byard stepped up and made a huge play – an interception in the end zone. He celebrated by running into the middle of the star at AT&T Stadium – reminiscent of a Terrell Owens celebration 18 years ago when he played for the 49ers, against the Cowboys. The Titans responded with a beautiful scoring drive that was capped off with a one-yard touchdown run by running back Derrick Henry, which made it 7-7. Henry’s run capped off a 15-play, 80-yard drive that took 8:55 off the clock. After getting a stop on defense, the Titans put together another nice scoring drive led by Mariota, and it was capped off with an 18-yard touchdown pass to Lewis to give the Titans a 14-7 lead. Mariota connected with receiver Darius Jennings on a beautiful 36-yard completion on the drive, and he also found receiver Cameron Batson on another third down to extend the drive. But the Cowboys tied the game just before halftime on a 23-yard pass from Prescott to receiver Allen Hurns, who got behind Titans cornerback Malcolm Butler to make it 14-14 at the half. The Titans got another big play on defense in the third quarter, when Brown sacked Prescott, forcing a fumble that was recovered by Woodyard at the Dallas 40. The Titans turned the turnover into points, capping a seven-play drive off with a seven-yard touchdown pass from Mariota to Smith with 5:44 left in the third quarter, which made it 21-14. The Titans missed a golden opportunity for more points when kicker Ryan Succop missed a 28-yard field goal with 10:58 remaining, keeping the score 21-14. But the Titans made the plays to win it late, including Mariota's touchdown run. “It is special for sure,” Mariota said. 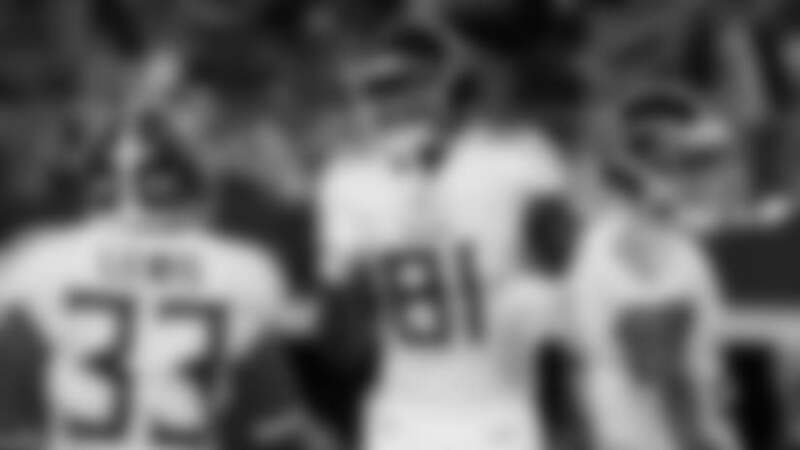 “Growing up, all you can really dream about is playing on Monday night. 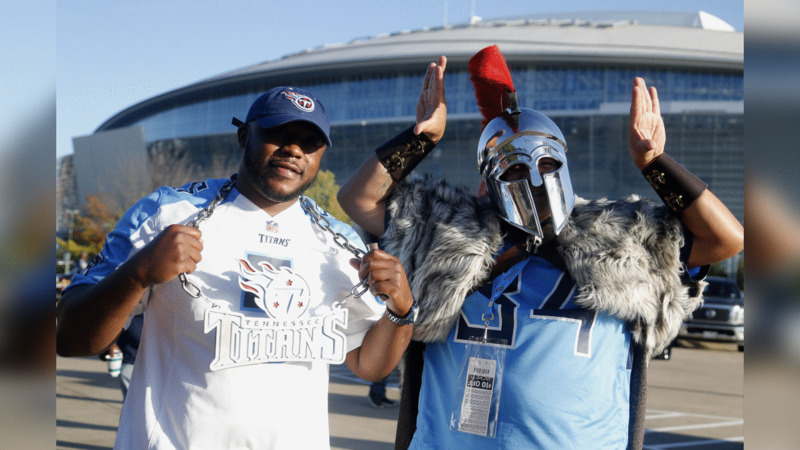 It was fun to be able to do that – we had a great atmosphere and we had a bunch of Titans fans in town. So it was quite enjoyable.